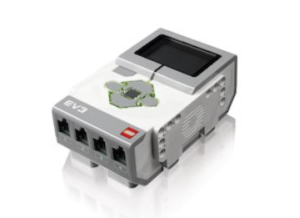 I have been using the LEGO EV3 robotics kits for five years. (I originally bought 12 kits with funds from a grant I wrote. I also have 10 NXT kits combined with a TETRIX kit for a more robust robot.) 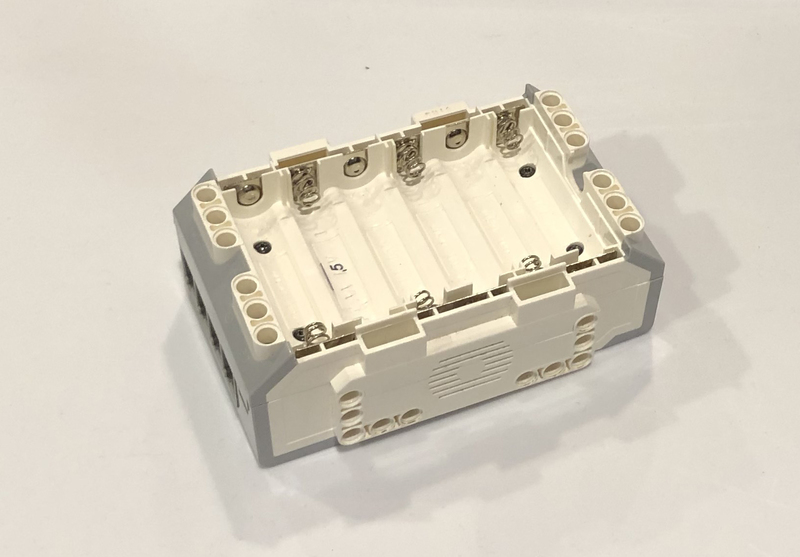 The EV3 kits have been very reliable, but after at least a thousand students using these robots I am seeing some signs of wear and tear on the brick. For example, the plastic covering over the display is cracked. This isn’t just from the occasional drop. These cracks do not effect the working of the display or brick function. I have had a few motors go bad, but with students wanting to push it like a hot wheels car, I’m surprised they have lasted as long as they have. At $27 US a piece, this isn’t too much of an issue to replace. The part of the brick that has become a problem is the mini USB port. Last year (year 4) three bricks ended up with broken ports. I am sure it is from the endless plugging and unplugging of the robot as students fix code and retry on the robotics table. Last year the school agreed to buy three new bricks, which cost around $200 US. I was very grateful for the school to spend $600 to provide my classroom with new bricks. This school year (year 5) I have two more bricks with broken USB ports. I can see these ports are going to be an issue. To answer a question I know you want to ask, yes I can use bluetooth, but in the classroom setting bluetooth is a poor solution to this problem. Actually I had the two bricks connecting via bluetooth for a couple of weeks. As I suspected, there were issues with students cross connecting to the wrong robot. This lead me to decide to try and fix the port. Crazy idea, right? 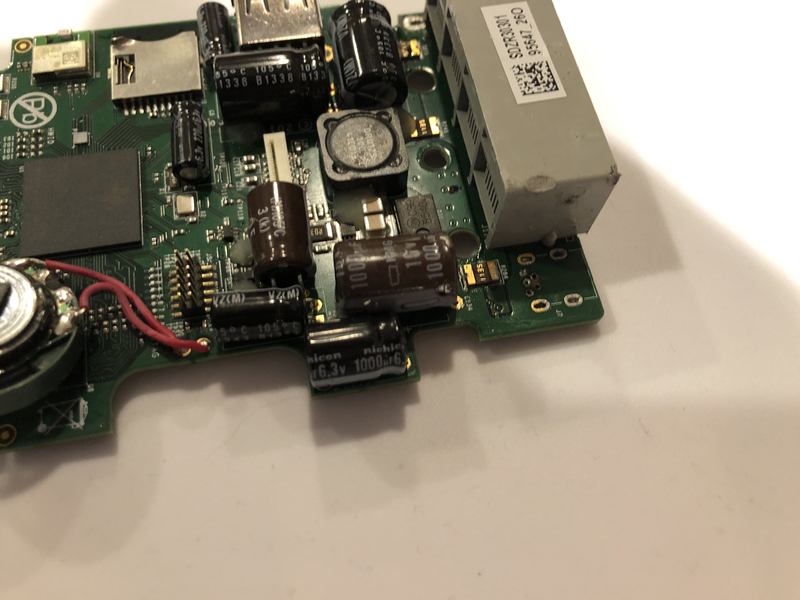 After taking a brick apart I found that the mini USB port is easily assessable, but some desoldering was going to be required. 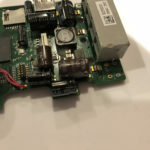 I searched the internet for someone who has already tried fixing the port. I found that few have tried, and there wasn’t much explanation on the process. The site suggested for purchasing the ports was no longer valid. I found my ports at aliexpress.com. These ports were shipped from China and took about a month to arrive. I have found them to be adequate, but not necessary the best quality. 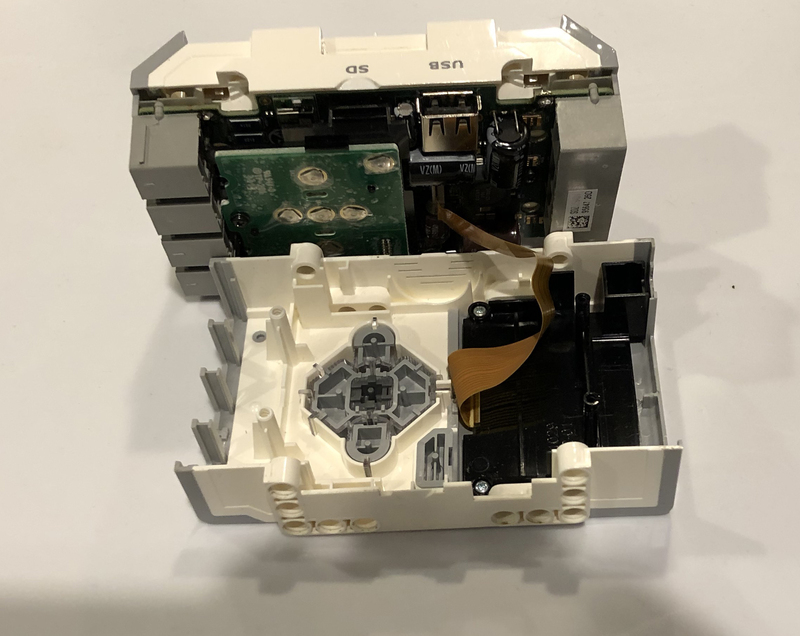 This is because as I worked on the repair I found that some mini USB cables would push the small connection wires right out the back of the port. Here are the steps I used to repair the bricks. I started by unscrewing the four screws in the battery compartment of the brick. Keep these screws safe. Once apart you can gently pull the ribbon cable connecting the display. Keep the top of the brick face down so the buttons don’t fall out and get lost. There are two smaller screws to remove. One of the screws holds the smaller board to the larger board. Once the screw is removed you can just gently pull up the board to remove. 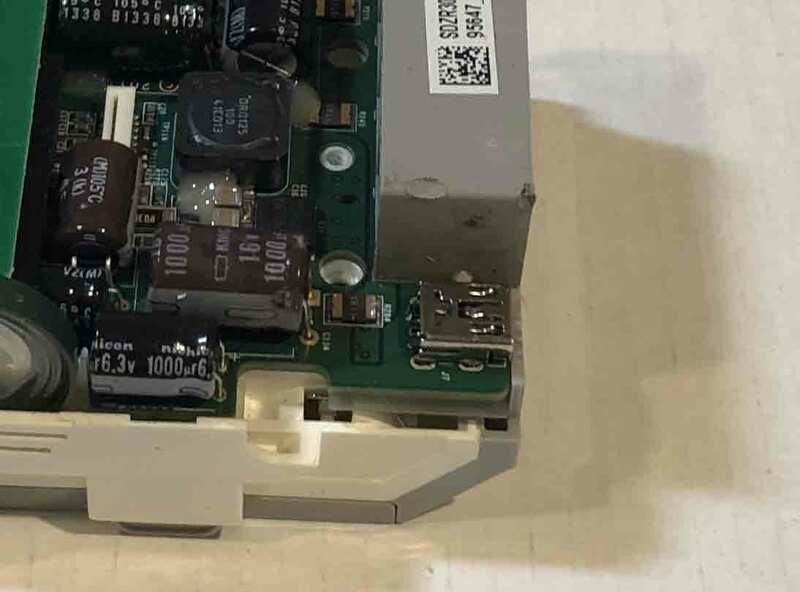 The other screw holds the board to the battery compartment. 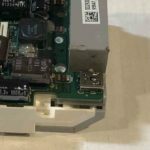 If you think that you can then remove the larger board from the battery compartment you would be wrong. 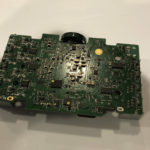 You have to desolder the battery compartment from the board. 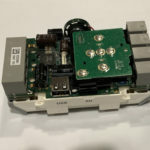 This is the easiest of the desoldering. I used braided solder wick and fast chip alloy to help remove the extra solder. Removing the port was a pain. I removed as much solder as I could and basically had to hold the soldering iron to one side and pull on the other. Once the port was removed, I spend a great deal of time getting the holes cleaned up to receive the new port. To open up the really small holes, I headed a needle I “borrowed” from my wife’s sewing box. there was one hole on both bricks that just wouldn’t open up. I’ll explain what I did to resolve this problem in step 7. Once I got everything clean and open, I carefully placed the new port on the board. 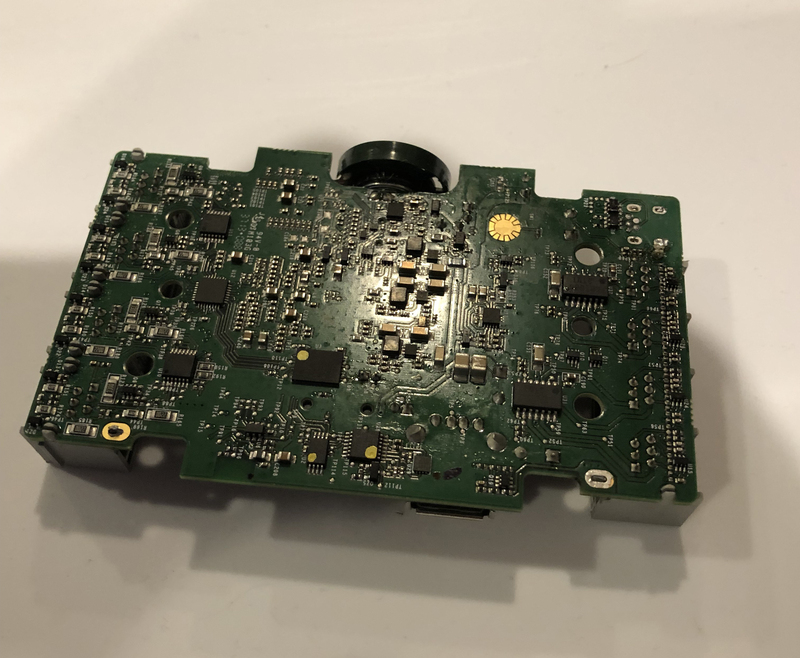 It didn’t take too much new solder to connect the port. To fix the issue I had in step five with the one hole not open, I surface mounted that wire. It seems to have worked. I then started to solder the battery compartment back to the board. This is when I realized that black rubber piece that is part of the reset button fell out. 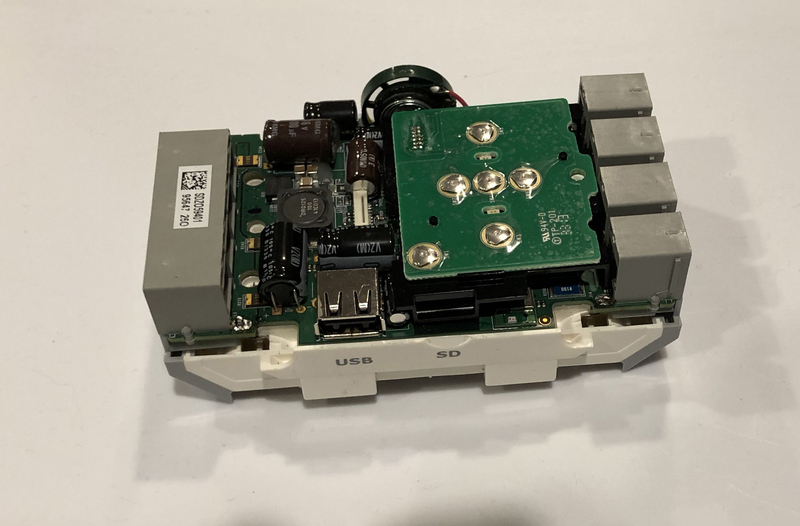 I put this back, then soldered the board back to the battery compartment. Before hooking putting the entire brick back together, I only plugged in the small board with buttons and put the battery pack in to test. Once I was confident that the port was working (I plugged and unplugged many times.) did I put the brick back together in the reverse order I took it apart. This process has seemed to work. I fixed them over winter break and have continued to test each brick for a week. The real test will be tomorrow! We will see how long it will last when the students get a hold of the bricks. Over the past few years I have slowly converted my 7th grade course from teaching mostly computer productivity apps such as Word, Excel and PowerPoint (Or Google Docs, Sheets and Slides) to more computer science opportunities such as Scratch. This year I decided to finish the conversion and make the entire course (except for teaching digital citizenship) a variety of computer science opportunities. Students have been given the choice of the topics they will learn. 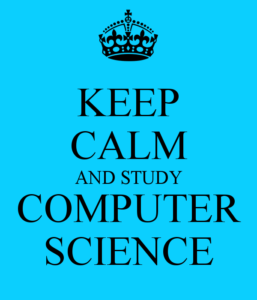 All of the choices teach computer science principles along with problem solving and computational thinking. I want to explain how the activities are set up. I created content ahead of time. In some cases students watch a screen cast that I created. In other cases they read a set of instructions I have provided. The students are slowing learning new skills and then get to test those skills. After only two weeks I am finding that implementing such a huge plan is exhausting. But, it is a good exhaustion because I am watching students get excited about what they are creating in Scratch. I have some students excited to create a guess a number game in Python. Students are excited to see an EV3 robot move about the room. Instead of them watching and copying me, they are in charge of their own learning. For the sake of transparency, there are students who are choosing not to complete the activities. I now have the chance to sit beside him or her to find our why they are not working and to help scaffold so they too can be successful. As Miss Phillips, a curriculum director I worked with, use to say, “Be a guide on the side and not a sage on the stage.” When you are a guide on the side you get a different point of view. You get to see the students taking control of their learning and you get to watch them soar! It has been weeks now since I travelled to Ann Arbor, Michigan for Picademy. On my three hour drive home I thought of various ways to utilize my Raspberry Pi at school. One idea I came up with was a photo booth for the start of school. A Raspberry Pi photo booth isn’t a new idea. But my implementation of the photo booth might be a new. Isn’t that what we do as teachers? We take the ideas of others, and repurpose and modify them to use in our classrooms and schools for our kids. That’s what I did. In my district we have something called open enrollment. For those who are not familiar with open enrollment, this allows students from a neighboring district to attend my school instead of their home district. Open enrollment can bring about a lack of school pride since the students do not live in the district. To work toward building school pride, I built my photo booth to tweet pictures with the hashtag #ProudToBeASpringfieldSpartan. 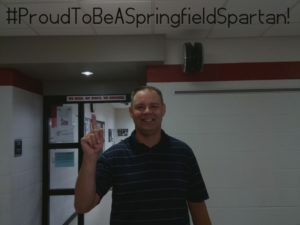 Students can then search #ProudToBeASpringfieldSpartan and see everyone showing school spirit. Having grown up and attended the district where I teach, school spirit is important to me. Even though I no longer live in the district and my daughters don’t attend the school, I am still #ProudToBeASpringfieldSpartan. Once a Spartan always a Spartan. I want my daughters to be proud of their school like I am of mine. So I made the photo booth available for the teachers and then for our 7th graders during their orientation. The students were a bit more apprehensive, but I think the message was heard loud and clear. That’s my mantra for the year. #ProudToBeASpringfieldSpartan! I want us all to be excited about who and what we are and the opportunities right in front of us. Summer is quickly coming to an end. As the years go by, summer gets faster and faster. It seems to be traveling at the speed of light. For those in the classroom, it is time to start getting ready and prepare for the first day of school. Maybe some of you have been working in your rooms and on lessons already. So have I. But the first preparation I make isn’t in my room or looking over lessons. My first preparation is to pray for all of the kids. Like so many of you, I teach many broken boys and girls. 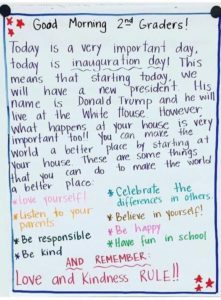 I pray that while they are at school and in my classroom they will find a safe, loving environment to learn, grow and be themselves. Don’t give up on them. Speak life by the way you encourage and love each child you encounter this year. Teaching is a tough profession, but we have such an awesome opportunity to build up and make a difference in the lives of children. Take a minute and read and listen to the words from Speak Life by TobyMac. Make an difference this year and speak life. Last Thursday and Friday I had the incredible opportunity to participate in a training session called Picademy. 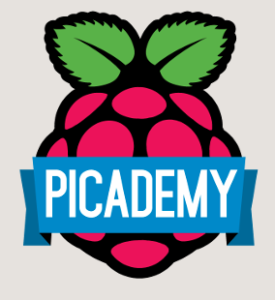 For those who have not heard of Picademy, it is the Raspberry Pi Foundation’s free face-to-face training program that aims to support educators throughout their digital making and computing journey. 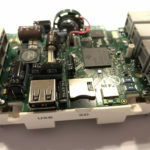 If you have not heard of a Raspberry Pi you must have been living under a rock for the past 5+ years. 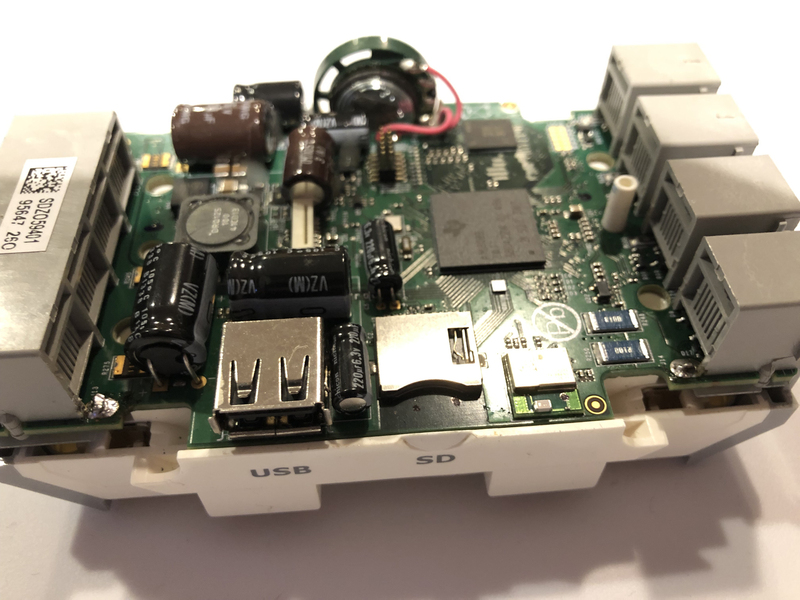 The Raspberry Pi is a credit card sized computer that costs $35. (You still have to provide a micro SD card, power plug, keyboard, mouse and monitor. )(If you run the Raspberry Pi headless [without a monitor using another computer to run using VNC], you don’t need the keyboard, mouse or monitor.) It is a fully functional computer running a version of Linux called Raspbian. During the two days of the Picademy we were trained on using the Raspberry Pi. The training focused on digital making utilizing the Pi as a tool or material in the project we were making. I’m not sure if you caught what I just said. 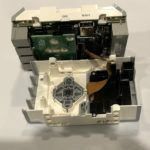 The Pi computer is just one of the many materials we used in our digital making. Too often in schools we use technology to be able to say we used technology. We assign digital worksheets and call it technology integration. We spend thousands of dollars on 1:1 initiatives only to have students completing the same types of assignments as before. Digital making utilizes many materials and the Pi or other tech device is just one of the materials required to build the project. What is essential to digital making is student choice. Giving the students the choice of what to build. The Picademy facilitators gave us a choice in what project we wanted to create. We all brainstormed ideas. There were many ideas, most of which were a solution to a problem or a need in our various schools, classrooms and maker spaces. One of my favorites was the exit ticket machine. The group created a program and a graphical user interface (GUI) to ask students a question. The students stepped up to the machine and pressed a button that corresponded with their answer. It tallied the results for the teacher to quickly collect. My group started with my idea in building a robot. I wanted to see if we could build a low cost robot that would be affordable to my students. The PiRover is pictured to the left. I had a need and my group worked to find a solution to the need. Digital making is about students (not teachers) coming up with a solution to a problem or need and creating the solution. This is real world problem solving. The learning potential in digital making is massive. The proof of potential learning is that every single team at the Picademy built something they had not built before. We all had to spend the 2 and a half hours learning. We had to find the information we needed to complete our projects. The facilitators were there for help, just like we are for our students. There were times that the facilitators did not have the answer. They only had suggestions or hits that might work or might lead us to our solution. In addition to learning and practicing digital making, we were encouraged and given permission to fail. That isn’t something you usually hear. I tell my robotics students on the first day of class that they will fail more times that they will succeed. That is part of life. Think about how many inventors failed over and over again before the invention worked. Overall, Picademy invited us to take on a maker mindset. Digital making requires a shift in how we teach. It changes the our role as teacher and the student’s role in learning. This maker mindset is where real world collides with the educational institution. I guess what I am saying is Picademy was life changing. Life changing for me, my students and those who I can drag along with me. 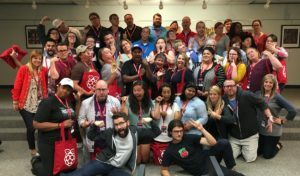 I am super excited to have the opportunity to be a part of Picademy this July. I have wanted to attend for years and it finally is close enough and the logistics worked out to make it a possibility. But that isn’t what this post is about. Well not exactly. 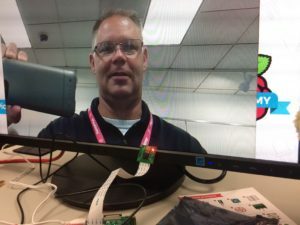 Recently those facilitating the Picademy workshop created a Google Group for those of us attending the training together. (There are lots of dates. You can go to the page here.) The one thing that I found in each introductory post was PASSION. You can tell from the way everyone introduced themselves that they are passionate about what they do. We all work with students in some way. AND we are passionate about teaching them physical computing. I think to fully engage your students in ANY course or subject, you must bring passion for what it is you are teaching. Back when I taught elementary school I was self contained. I hated teaching writing. Probably because I felt so inadequate as a writer myself. To bring passion to the writing, I turned the personal narrative that I had to assign them into a time of personal reflection. I demonstrated by telling them about the time I had surgery on my esophagus due to a swallowing disorder. I went through a tough 6 months of illness because I could barely swallow any food. The students saw the passion and gave way more effort to their writing than before I chose to demonstrate with my story of illness. I think to truly be effective teachers we need to bring our passion. This has to come from within. 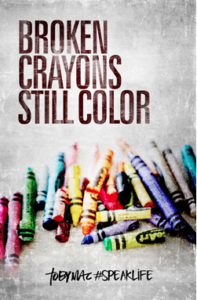 Kids can pick up on your true passion or when you are faking. After reading the introductions of those attending Picademy with me, I can tell no one is faking. That is why they are making a difference in their schools and classrooms. Find your PASSION and share it! I will try to briefly explain the highlights. Using the Raspberry Pi, which I have used before, I learned how to use Python programming instead of relying on Scratch. Scratch works great, but I was looking to learn a more robust programming language. I found that Python isn’t that hard. There are syntax to remember, but it seems very easy to use. The Raspberry Pi has a series of pins called GPIO pins. 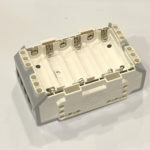 This allows the user to attach various components to the Raspberry Pi. Keeping the level at a beginner, we connected LEDs and buttons. We learned how to turn on and off LEDs and how to control the LED with the button. We even made our own button and made a high tech whoopee cushion. This is where it got really fun. My 9 year old had a blast doing this with me. I also learned a great deal from ideas and comments left by the other teachers taking the course. Part of the course asks for integration ideas. I loved the dialog between us. Lastly, the course was quite engaging. My 9 year old didn’t want to stop. She and I made some extra activities since she didn’t want to fun to end. Now all I need are some supplies and Raspberry Pis so I can teach this to my own students. As I reflect on a day spent reviewing and evaluating Educator Initiative Grants funded by the GAR Foundation, I realized that I wasn’t just reading, reviewing and evaluating grant proposals submitted by teachers and schools across the county, I was helping to decide how children are going to be impacted not just next year but many years to come. We on the team take our role as evaluator very seriously. We work to recommend funding for the best and most impactful proposals. But with that realization on how children are impacted year after year, I couldn’t help but think about how the GAR Foundation has changed the face of my classroom. A few years ago I had this crazy idea to offer robotics courses to eighth graders. It is hard to do this without a robot. Through a grant funded by GAR, I was able to get two sets of robots and some incredible professional development. This started my interest in teaching more computer science skills to my students. The confidence that being awarded the funds gave me was a springboard into a change in what and how I teach. Now I have two different courses spanning not just eighth graders, but encompassing students from eighth grade to seniors. It didn’t stop there. 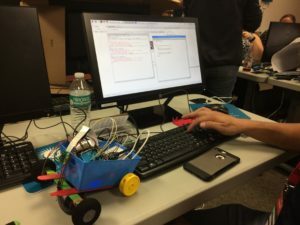 Because my administrators have seen how teaching computer science principals through the use of robots is so impactful, they have supported other ideas and projects. Some of those have been supported through GAR in the way of other grants I have written and some funded by the district. As I finished reflecting on that long day, I was thankful for the GAR Foundation. They are improving the lives of children in Summit County through education and opportunities. Without the GAR Foundation, the future in Summit County wouldn’t be so bright! This past Friday we inaugurated a new President. Whether you are happy or not with who the President of the United States is doesn’t matter. This isn’t a political post. What this post is about is how to REALLY make America Great Again! This picture was posted on Facebook. I love how this teacher used this moment in history to work to bring out greatness in second graders. Read it all the way through. The teacher doesn’t add his/her opinion on who was elected. He/she talks about how we can make this country and this world a better place. Notice that all of the core values are working together and being kind. FIRST uses the terms Gracious Professionalism and Coopertition. (Click on the terms to see the meaning.) Both are all about being kind and working together. That is what I truly love about the FLL tournaments. (The bracelets shown above are handed out when a student or coach displays either Gracious Professionalism and Coopertition. I am honored to wear the one that I earned at the last tournament. One boy from my team also was given a bracelet. It reminds us that we need to work together and be kind. FIRST is leading the way to show children and adults that there is a better way. And that way is learning and growing together through being kind and working together. What a wonderful world this would be if we all showed some Gracious Professionalism and Coopertition. Go be you and let’s ALL make America Great Again!